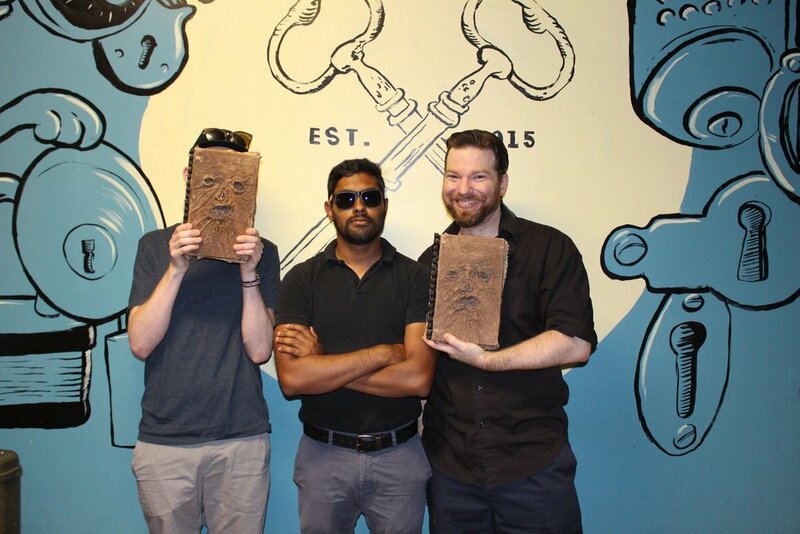 Escape rooms are a hot new activity that have taken the world by storm over the last few years and since then they have only grown, expanded, and become even more than I’m sure anyone ever foresaw. While the definition found on Wikipedia is correct, there is so much more to an escape room than just solving puzzles. 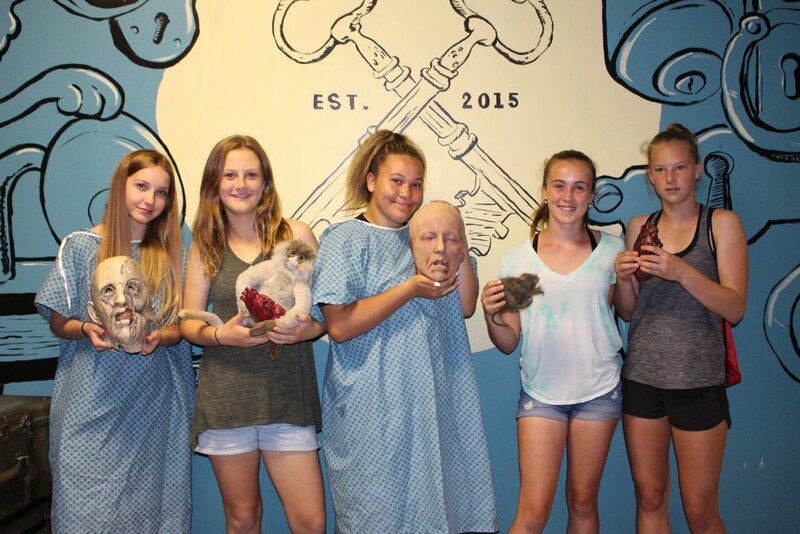 Escape rooms are a truly one of a kind experience that allow groups of people to use quick thinking, problem solving, and team building skills to solve puzzles, make their way through rooms, and create an everlasting and fun memory together. While elements of escape rooms have been around for decades in other forms of attractions such as scavenger hunts, haunted houses, and various puzzles, it is believed that the first fully formed escape room was “Real Escape Game”. Real Escape Game was developed in 2007 in Kyoto Japan, and since then escape room games have expanded to 8000+ games across the globe. What makes Improbable Escapes games such a unique experience? 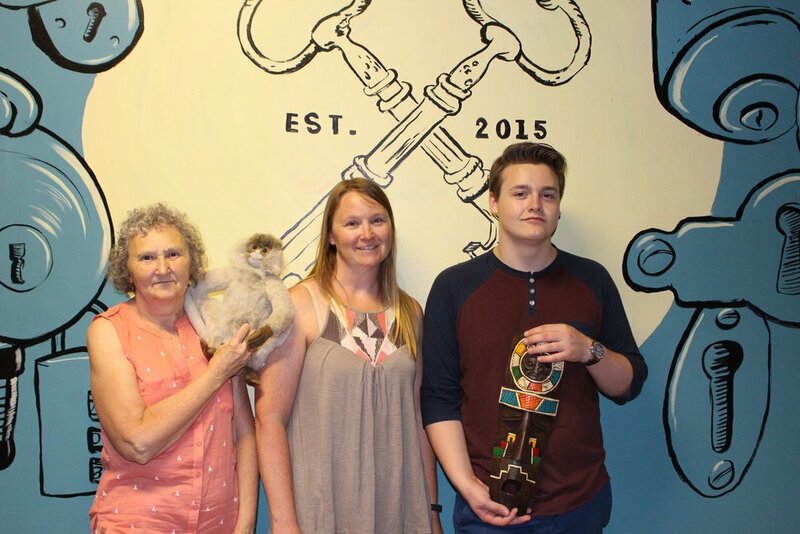 Improbable Escapes was Kingston, Ontario’s very first escape room experience. From our formation in 2015 we’ve have only improved and grown. While we initially started with two escape rooms, we now offer four indoor escape rooms, two outdoor escape room experiences, and countless pop ups and partnerships throughout town at different museums and historic sites such as Fort Henry National Historic Site, Bellevue House National Historic Site, Military Communications and Elecronics Museum and more. In addition to our well rounded game offerings, Improbable Escapes prides itself on being innovative, cheerful and helpful with how the staff interact with our customers and visitors, and accessible to everyone. Improbable Escapes was one of the first escape room companies ever to create portable escape room and mini escape room games in 2015! We're also one of the first escape rooms ever to work with museums and historic sites. How is Improbable Escapes accessible? While not all games we offer are fully accessible we do have a game available for everyone. Some games are wheelchair accessible, service dogs are welcome, service helpers and translators are welcome and play for free, any games that have strobe lights or elements that may affect players can be toned down or turned off completely. If there are any other needs that have not been listed or met we are always open to and willing to make arrangements based on customer needs. Escape rooms are for everyone to enjoy. 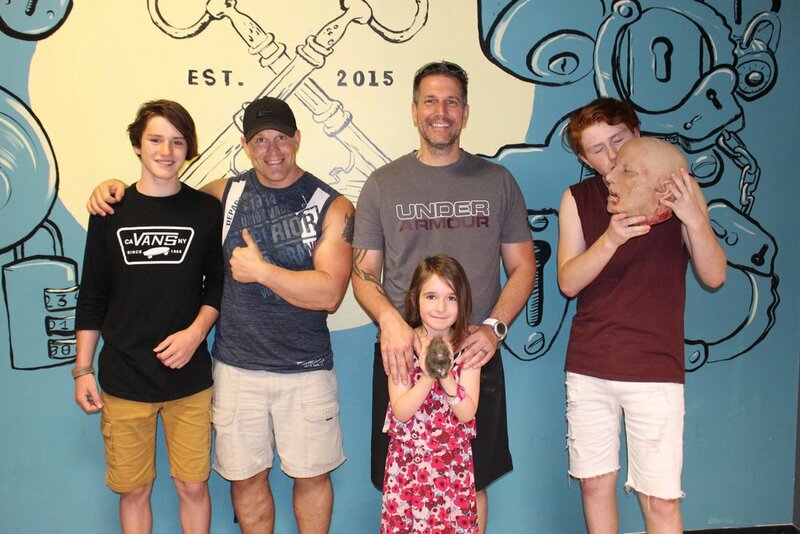 There are sometimes misconceptions about the theme of escape rooms, I know that personally I believed that escape rooms where all horror or scary before joining the Improbable Escapes family but that simply is not the case. Worldwide there are countless storylines and themes that games can revolve around, the most common include but are not limited to zombies, haunted houses, laboratories, prisons, pirates, treasure hunting, etc. but can also include more upbeat, friendly, and fun storylines as well. What stories does Improbable Escapes offer? Love Letter Lockdown is a game based around escaping detention, is brings you to third grade where you have developed a crush on Sam Silverman and have put a love letter into their locker. Filled with immediate regret, you try to break into Sam’s locker to retrieve the letter but get caught and end up in detention. From there you must solve a series of puzzles to escape detention in hopes of retrieving your letter. This game is genuinely fun for children and adults alike. Legend of the Mayan Temple is a game based around a mission through the jungle and eventually in a Mayan temple. You are part of an archaeological team who is in search of the lost cup of the king. You and your team must crawl through the jungle, slide into the temple, and discover the ancient secrets of the Mayan people. The Cure for the Common Zombie takes place several months after a nuclear accident spread a zombie flu which, as of now, has affected 40% of mankind. Luckily, Canada was on top of the incident and developed a cure, unfortunately we have lost contact with the development team. It is now up to you to work your way through a series of puzzles, find the cure, and save humanity. Coroner’s Report is our horror based game. This game is recommended for ages 16+ and involves darkness, strobe lights, light odours, light touches, and some scares. The story goes, that LaSalle Mews used to be a hospital, it was Ambrosia General Hospital, and it was shut down after mysterious circumstances; the doctors were performing strange experiments on its patients. Years after its abandonment you and your friends are walking by and decide to explore. Walk through what remains of Ambrosia General Hospital, solve puzzles, and try to escape. Catch Me Outside is our outdoor game experience that explores downtown Kingston. Your great grandfather has passed away and wants to leave his inheritance to you, but there’s a catch. You have a set of instructions and a series of puzzles to solve before the inheritance becomes yours. Kingston is a Ghost Town is our newest escape room experience. Much like Catch Me Outside, Ghost Town is an outdoor game experience that has you exploring downtown Kingston. You are a paranormal investigator and it’s your first day on the job. There has been some supernatural activity in Kingston, a small house seems to be the cause. There are unhappy ghosts there and you need to put them to rest to find out why they are haunting the city. A bonus in this game is that you visit actual haunted spots in town. While there are “haunted’ elements, this is not a horror based game. Pop Ups and Events are something we love being able to be a part of. With these you can usually find us partnered up with a local museum and a games whose theme is in line with the museum itself or at local events throughout the city. Kingston is a town based very much on a sense of community and these are small ways we can do our part and be involved. Currently, we are running “Camp X” at the Military Communications and Electronics Museum. You are about to graduate from Camp X, which is a school with the sole purpose of training elite covert agents during World War II. You have one final test to pass to become a full fledged spy. Use the tools you’re provided with to complete your training and complete your mission. Hopefully you have learned a little bit about what escape rooms are and what Improbable Escapes has to offer. Escape rooms are a truly one of a kind experience that varies from game to game and from company to company. Each game can help you bond with your team, learn something new, and most importantly, have fun! If you have any additional questions, please contact us or read our FAQ! This article was written by Erica Mason, a game host at Improbable Escapes. Erica is a recent graduate of the Graphic Design program at St. Lawrence College where she also graduated from Advertising and Marketing. Erica brings her love for creativity and her optimistic outlook on life to the team. When not at Improbable Escapes you can find her exploring the town, taking photos, or watching a film.